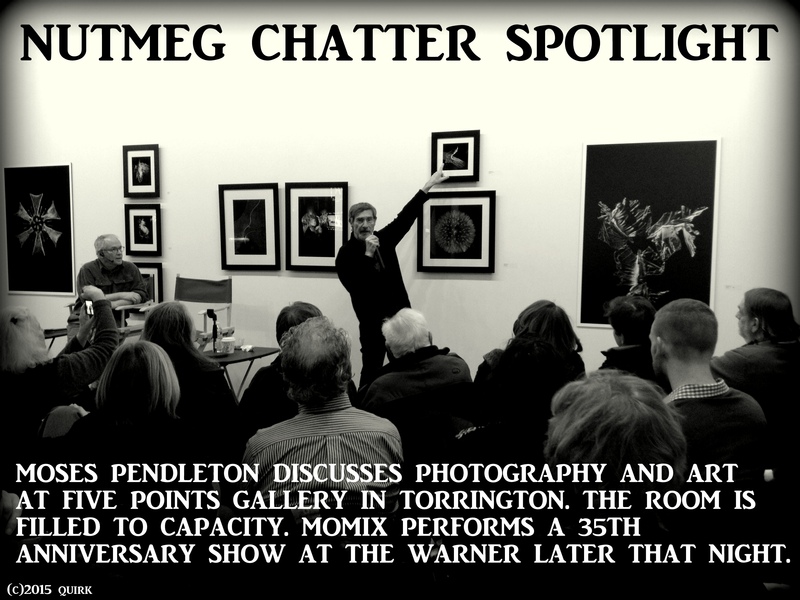 MOMIX Founder Moses Pendleton discusses the art of his photography at the Five Points Gallery. The exhibit “Moses Pendleton Photographs and Takes Long Walks In The Country” is exhibited in the east wing of the downtown Torrington Gallery. MOMIX performed later that evening at the Warner Theatre and will provide one more show on 1/18/2015 at 2pm. The performance is a 35th anniversary celebration featuring the most beloved choreographed dances of this world renowned dance troupe. In March, MOMIX will be performing 13 shows in Greece. Click here to read the profile of Moses Pendleton on Nutmeg Chatter.